A minimalist hiking shoe that doesn't offer much in the way of support or comfort. The Merrell Siren Edge Q2 WP is a lightweight hiking shoe that trends towards the minimalist or "barefoot" design. This style might be adequate for light one or two-mile hikes on gentle terrain, but when it comes to more rugged trails and hiking with any weight on our backs, the lack of support and traction are evident. We didn't get much purchase on loose trails and found ourselves slipping a lot, and we didn't get good traction on bare rock either. Also, this shoe is not "waterproof", and our feet got soaked during our submersion tests. Unless you are specifically looking for an ultralight and unsupportive shoe, we'd skip the Siren Edge and go with Merrell's other popular hiking shoe option, the Moab 2 Ventilator. The Moab 2 is $10 less than the Siren and lightyears more comfortable and supportive, and it's also the recipient of our Best Buy Award. The Siren Edge Q2 WP has a mesh and synthetic upper and Merrell's "M Select DRY" inner membrane. This shoe runs on the smaller side, and while we got away with our usual size 10 in this pair, our toes are very close to the end. If you are between sizes or like some extra room in your toe box because your feet tend to swell throughout the day, then we'd recommend sizing up in this pair. Testing out this pair with some weight in our pack. There isn't much padding and little stability, and we slipped a lot on bare rock and loose trails. This shoe received one of the relatively lowest scores of all shoes in this metric. There is almost no padding underfoot, and while it doesn't feel too uncomfortable when walking on flat surfaces without a pack on, as soon as we got on a rough trail with even a light daypack, our feet were complaining. The upper is also a weird blend of mesh and a vinyl overlay, and it feels plasticky and makes a weird sound when you walk. This midsole on this pair in thin and doesn't provide much padding. The upper is our least favorite as well - the look is decidedly "plastic," and it's oddly noisy. The Siren Edge Q2 lacks both arch and lateral support. The shoe itself is very soft and pliable, and we could twist it around itself without too much effort. There is a semi-decent liner with a little bit of arch support, but because the shoe is so soft, there's no structure to the arch. Keep this in mind if you have bad ankles or plan to carry heavy loads. The Oboz Sawtooth BDry and the Lowa Renegade GTX Lo are excellent options to consider if you prefer shoes with a lot of support. If you can twist your hiking shoe in half, it's not that stable! The Siren is too soft and did not provide much in the way of support. The Siren Edge does not have good traction on trails or rocks. The tread pattern is shallow, and there's not a lot of space between the lugs, causing us to slip a lot on unconsolidated trails. We didn't feel that secure on bare rock either. This did surprise us a little since the sole on the Merrell Moab 2 is one of our favorites for scrambling around on rocks. Look to that shoe, the Oboz Sawtooth Low BDry, or the Adidas Outdoor Terrex Swift R2 GTX if you need something that can stick to anything. The lugs on the Adidas Terrex Swift (left) are deep, well-spaced, and multi-directional, unlike the ones on the Siren (right), which are too shallow and close together. Well at least we can say one positive thing about this shoe — it's truly lightweight in comparison! It weighs 1 pound 7 ounces in the size 10 that we tested, making it 2 ounces lighter than the Ahnu Sugarpine II. While they are both lightweight, the Sugarpine is a lot more comfortable than the Siren Edge, and it offers more support as well. Both of these shoes are still too light and not supportive enough for long hikes or hiking with significant weight, but we prefer the Sugarpines over the Sirens on days when we are only hiking for a few miles and without a heavy pack. Catching the sunrise after a quick early-morning scramble. If you are looking for the lightest possible pair, this is it, but we prefer a little more comfort and stability in our hiking shoes. This shoe uses a proprietary "M Select DRY" liner from Merrell. They say that it's an "impermeable membrane that seals out water," but during our submersion test, the membrane leaked through after five minutes and our feet were totally soaked by the eight-minute mark. 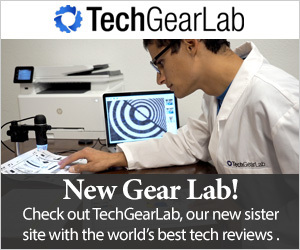 While this is an extreme test that is not always indicative of real-world conditions, almost all of the other "waterproof" models in this review can pass it. The few that didn't include the Ahnu Montara, because of leaking in the tongue area that doesn't have a gusset, and the Ahnu Sugarpine II, which also saturated through completely. The Siren Edge is also cut lower than some other models, like the Oboz Sawtooth BDRY, so keep this in mind if you often hike in wet weather and need something that will keep you covered and dry. The Siren (foreground) doesn't provide as much coverage as the Oboz Sawtooth (behind). This shoe leaked during our water tests and is not quite "waterproof." We didn't find too many durability complaints about this shoe, and it appears to be made of quality materials; however, knowing hiking shoes well, those with a medium thickness midsole will typically last about 200-300 miles. With the Siren's being so thin, we worry about it packing out even sooner than "average." Also, within our testing period (average 20-30 miles on each model) the uppers had already relaxed a lot and lost some of their shape, so this pair received a low durability score. If you're looking for a sturdier all-around shoe that should last a lot longer, then any of our top scoring models, like the Adidas Outdoor Terrex Swift R2 GTX, is a better bet. We don't often come across a hiking shoe that we wouldn't want to wear hiking, but that seems to be the case with the Merrell Siren Edge Q2 WP. It's not that comfortable or supportive, nor is it waterproof, and the traction is poor on all surfaces. We did wear it around town though, and for that application, it works just fine. The Siren Edge Q2 WP retails for $110. Frankly, this seems a little overpriced for such a minimalist shoe. If you like the looks of this model but don't need the waterproof liner, which didn't work so well in our tests anyways, you can save $20 and buy the version that doesn't have "WP" in its name. For $10 more you can purchase The North Face Hedgehog Fastpack GTX, which is a much better overall hiking shoe. 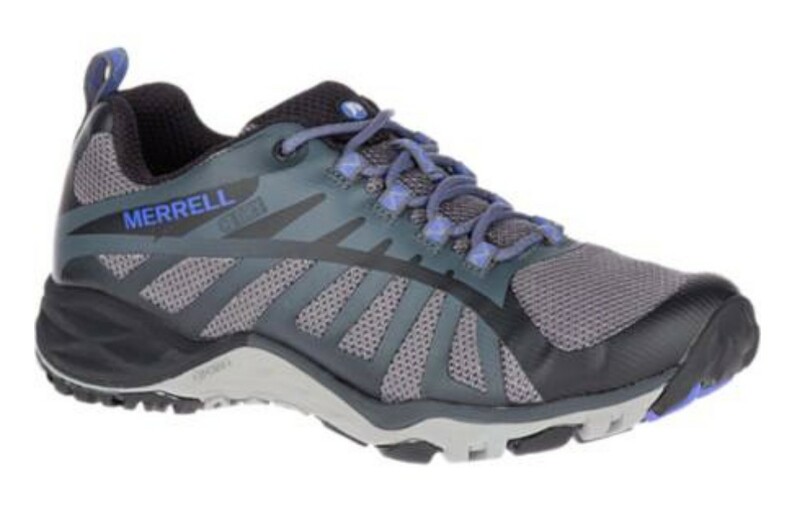 We also preferred our Best Buy winner, the $100 Merrell Moab 2 Ventilator. There is a place for minimalist hiking shoes, and if that's what you're looking for, then the Merrell Siren Edge Q2 WP certainly fits the bill. However, we found it so lacking in all areas except its weight that it's a hard one for us to recommend for any hiking uses beyond very moderate trails. Some people love to wear hikers for regular around-town use though, and if that's you then the Siren could be what you are looking for. We wore it for running errands and found it on par with a regular pair of sneakers in terms of comfort.